Sen. Rand Paul, the libertarian Republican from Kentucky who is all but certain to run for president in 2016, says he wants to open an office in the Bay Area. Paul's foray in San Francisco is notable for a number of reasons. The coastal liberal mecca is the geographical and ideological opposite of conservative Kentucky, and the move could test whether the overlap between Paul's message of liberty-loving small government and San Francisco's left-leaning, anything-goes mentality is genuine. Could he win support from people who'd never think of voting Republican? Presidential contenders typically open their first offices outside their home states in places that vote early in the nominating process, like Iowa, New Hampshire and South Carolina. 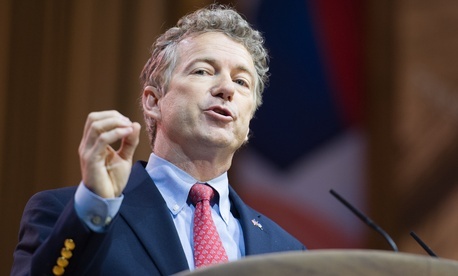 As perhaps the most aggressive early campaigners among Republicans who are eyeing a 2016 run, Paul has already hired staff and established a presence in Iowa, for example. But it is quite early to be thinking about California. Paul told the San Francisco Chronicle that his team was "in the process" of opening a Bay Area office. There is, of course, far more to San Francisco than the hippies of Haight-Ashbury. It is home to Silicon Valley, and Paul's move may be as much about money as message. Republicans have for years been trying to woo the young millionaires and billionaires of the tech industry, both for fund-raising purposes and to try to win broader support among the young voters that serve as their consumer base. "There's a lot of smart people in Silicon Valley, and we want to use their brains to figure out how to win," Paul told the Chronicle. Paul is said to be close to nabbing the support of PayPal's libertarian co-founder, Peter Thiel. While the state has two Democratic senators, a Democratic governor and has voted for Democratic presidents for years, Republicans used to fare much better in California. Paul said the key to the GOP competing again in the nation's largest state was to be "more inclusive" and win over independent voters. We can win here again, but we have to convince independents to come back. The brand has been damaged. We really need a new GOP ... and we need great leaders to define what that GOP is."